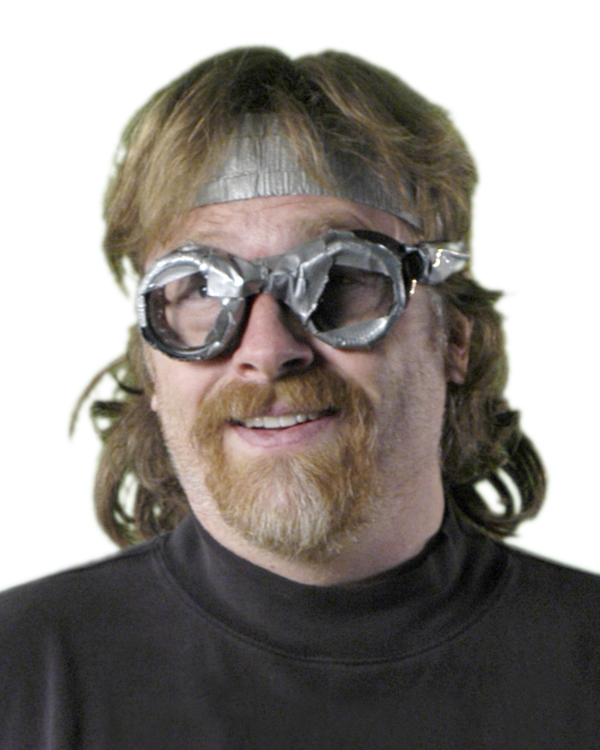 A veteran of morning drive-time radio improv humor, Tim Nyberg (aka Tim, the Duct Tape Guy) gives a great interview. He'll motor-mouths his way through any amount of time that you allow him. The Practical Joker Handbook allows Tim to pontificate on his love a practical joking. Email Tim to arrange an interview. Make sure you are on our media update list. Register here - please check the box that identifies you as "MEDIA" so you get the proper updates. Talking with Tim Nyberg (also known as Tim, the Duct Tape Guy) - you have a new book out on the humor shelves, "The Practical Joker's Handbook." What dragged you away from duct tape to write this book? Let's start with some safety concerns. Do you have any "rules" for safe practical joking? The book is nicely divided into sections - home, office, car... give us some examples. The book also has recipes! Cooking up mischef. Could you reveal one of the recipes in the book? 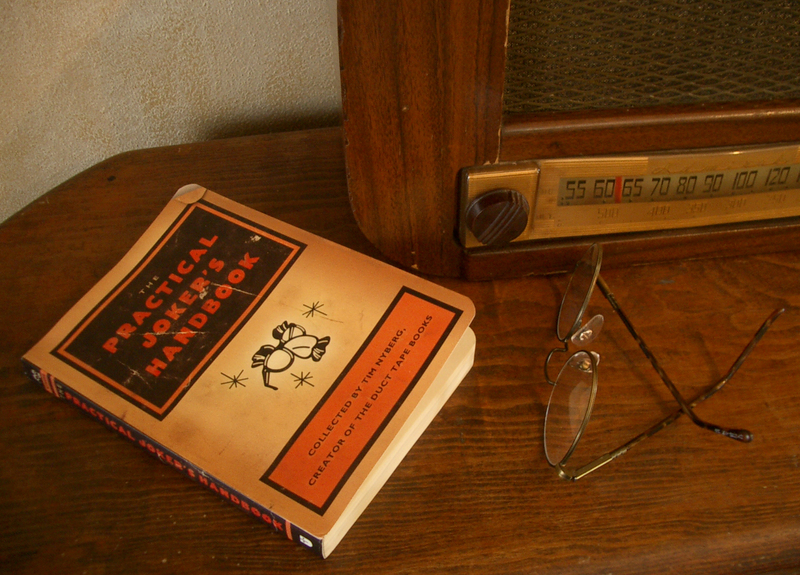 How can our listeners (viewers/readers) pick up "The Practical Joker's Handbook?" Looking to add some much-needed mischief and laughter into your mundane daily routine? Just wait until you get your hands on this new collection that serves as a how-to guide on annoying, tricking, and pulling the wool over the eyes of your unsuspecting victims. 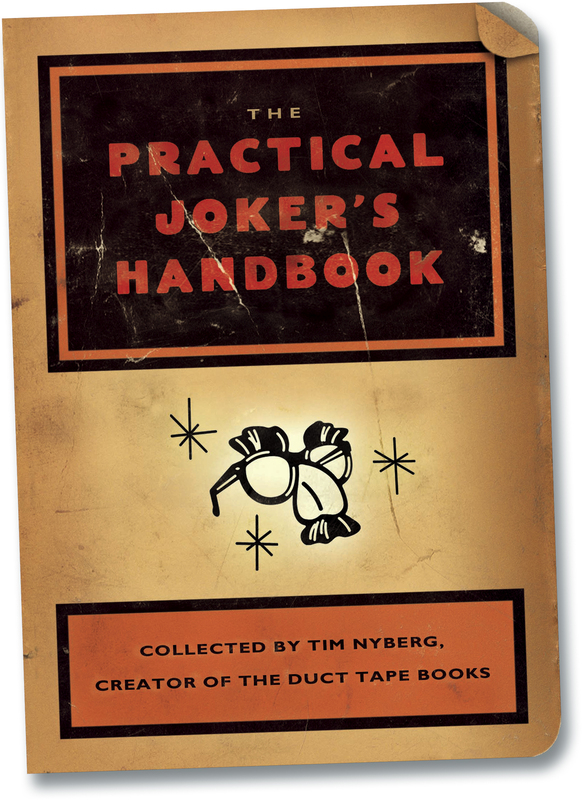 Made easily accessible by the man who rose to fame as one of the phenomenally popular "Duct Tape Guys," The Practical Joker's Handbook (Andrews McMeel Publishing, $12.95, May 2004), collected by Tim Nyberg, best-selling author and long-time practical joker, contains hundreds of tried and true methods to confound, confuse, and subsequently entertain your family, friends, coworkers, and yes, total strangers. Featuring some of the best and funniest practical jokes and hoaxes gathered from around the globe, The Practical Joker's Handbook is a one-of-a-kind collection that reminds everyone not to take life too seriously. This devious little handbook offers a hilarious collection of tips and tactics for bringing humor to your home, office, school, car-even your favorite dining establishment. Tim Nyberg has been a self-employed graphic designer and illustrator since 1978. But after the release of his first publishing effort, The Duct Tape Book, in 1995, he's been better known as one of the "Duct Tape Guys." Tim's ongoing goal as a writer is to entertain through nonoffensive, creative, and offbeat humor, which he's accomplished many times over. Click here to go to DuctTapeGuys.com's media area.